The Muse M30 is a great sounding but ultimately disappointing T-amp/dac combo. The most interesting thing to me was this T-amp uses the relatively high powered TI TPA3121D2 chip. This chip was based on the earlier Tripath chip amplifier designs but was reputed to be an improvement over those designs. Listening in my house I was impressed. It's certainly more powerful than my TA2020 or TA2024 amps have been. 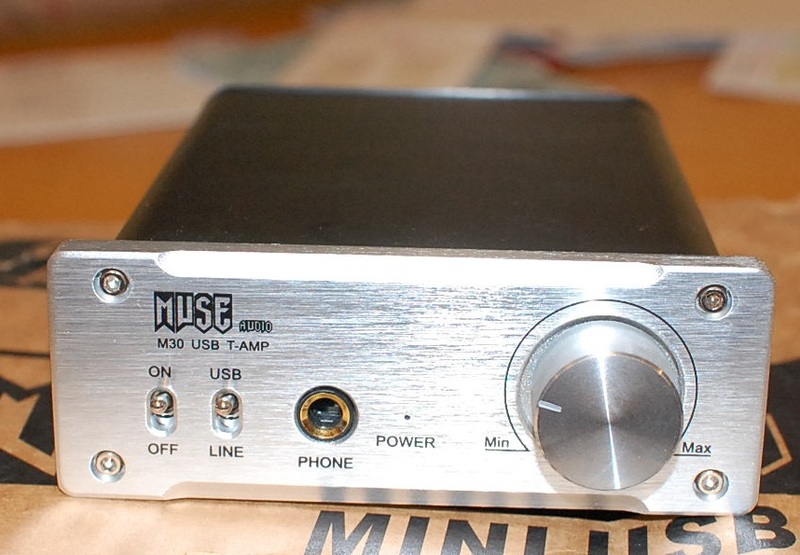 There were some significant disappointments though for me with this amp. The PCM2706 based dac has a convenient USB input, but it's nothing special sonically. The volume knob was indexed. It had detents and not the smooth turn that I prefer. It also had a noticeable channel imbalance at low volumes. The amp itself just didn't seem as well made as the Topping, Trends or Hlly T-amps I've owned. I'm impressed with the TPA3121D2 chip, but I'd like to see it implemented in a better amp.